In a large pot, melt butter and add olive oil. 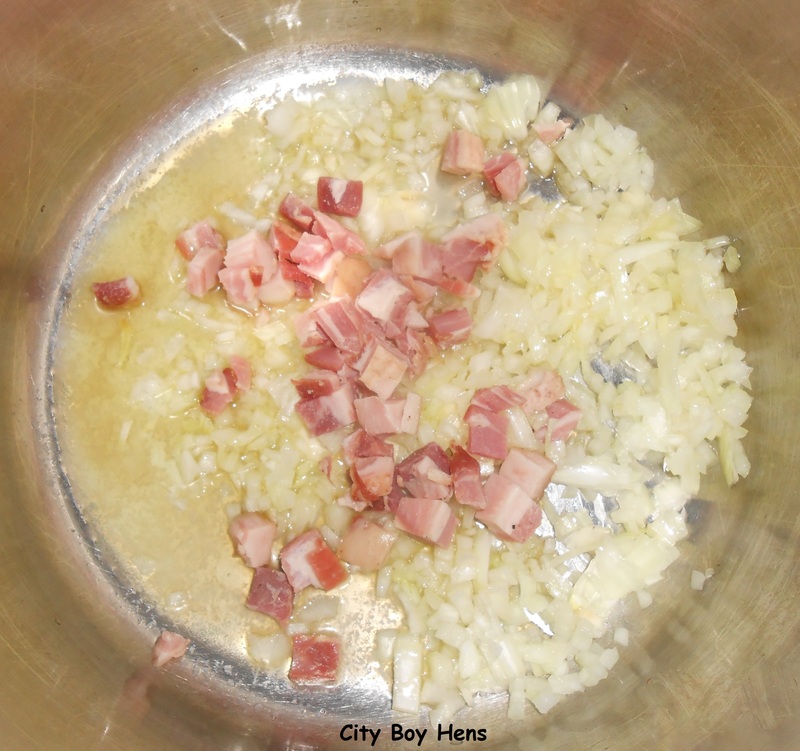 Add onions, garlic and pancetta. Cook for 3 minutes or until onions become soft & translucent. Thinly slice the leeks, separate into rings and rinse under cold water in a colander. Drain the leeks and add them to the pot. 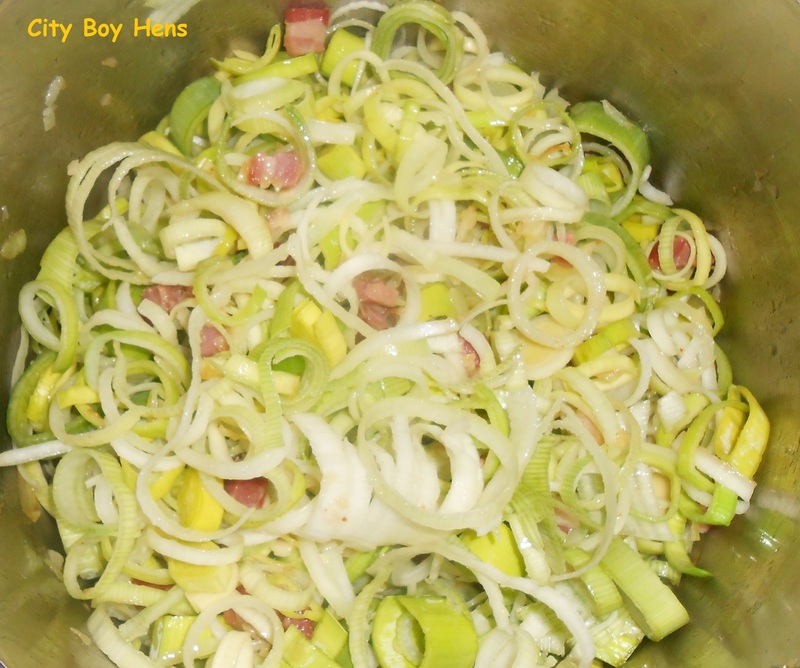 Stir and cook for 5 minutes or until leeks become tender. 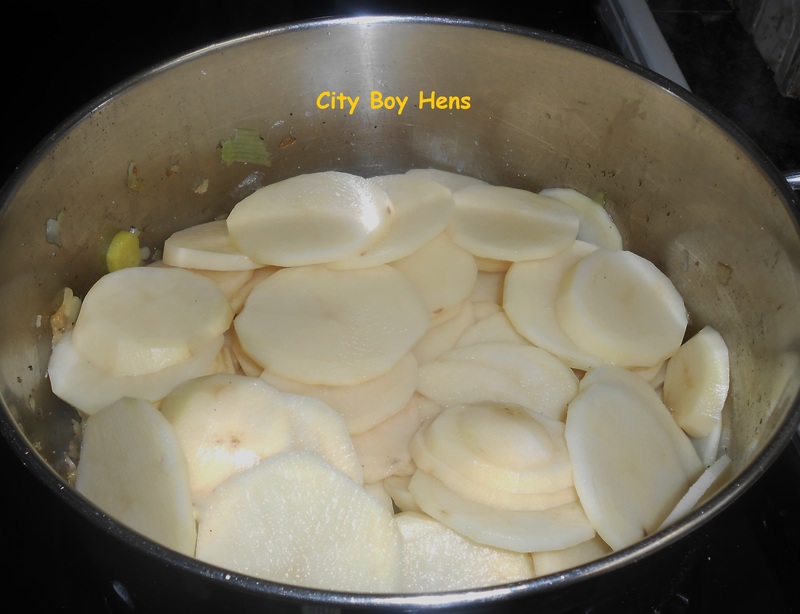 Add sliced potatoes to the pot. Add 8 cups (two 900 ml tetra boxes) of chicken stock. Bring to a boil and then simmer covered for at least 1 hour. Two hours would be ideal, but sometimes we just don’t have that amount of time. Remove from heat and let the soup rest for a few minutes. 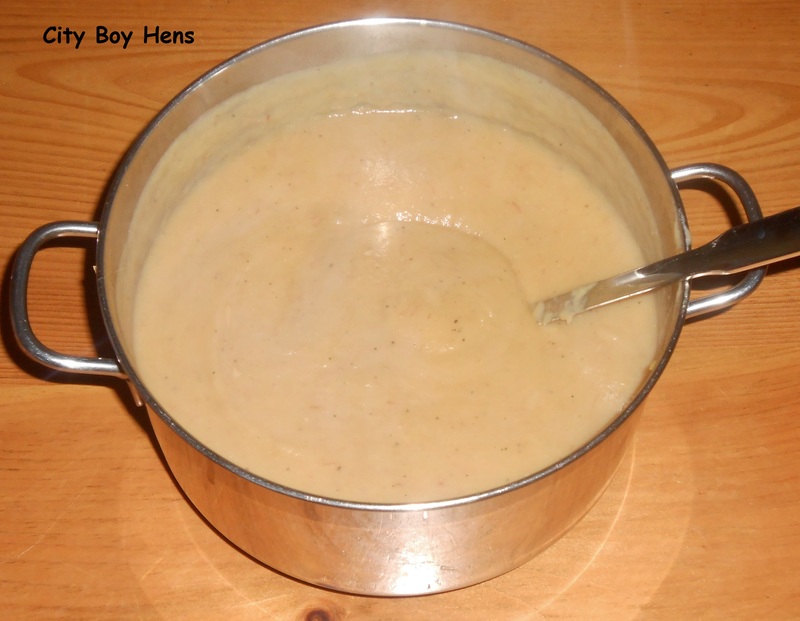 Using a hand blender, puree the soup until it is smooth. 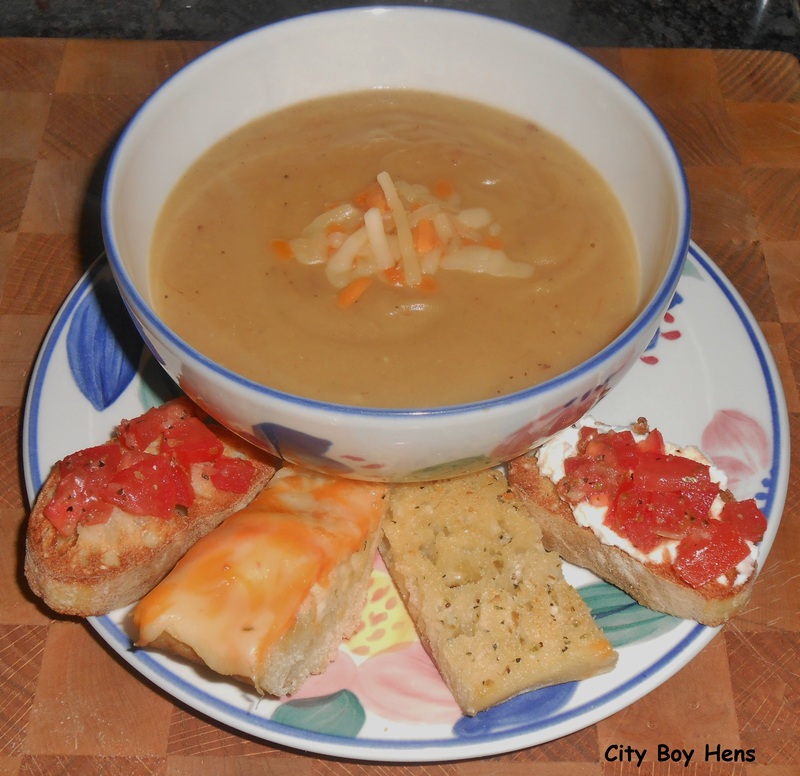 Serve with homemade bruschetta or garlic bread. Leave a comment and let us know how you made out. This sounds delicious, I love using leeks. Will definitely try this, thanks for the recipe! Made a really good “pasta fagioli” for my grandchildren this week, it was awesome!